I have created a basic SharePoint 2013 helpdesk template which you can try out, modify and apply as a helper to their SharePoint support desks. The reason for supplying this is to (a) give an understanding of the ability of SharePoint to provide basic helpdesk functionality using built in features and (b) to introduce you to the concept of centralising a helpdesk in a ‘one stop shop site’ concept. Please note, I am not providing this as a suggestion that you drop any helpdesk product you are using – this is not supposed to in anyway detract you from using that!! 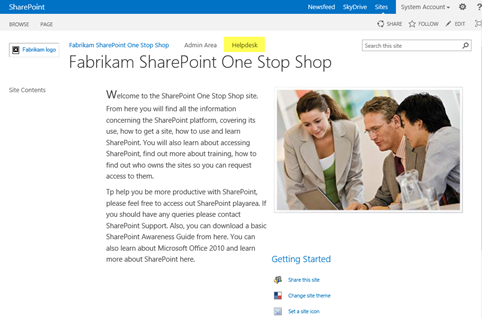 The Helpdesk site provided comes from the originally set of FAB 40 templates provided for SharePoint 2007. I’ve cleaned that up, taken that through into SharePoint 2013 on-premise. Note I said SharePoint 2013, don’t even think of putting this on SharePoint 2010! Whilst it is possible to push this into an Office 365 tenant, extra work would have to be done to make the helpdesk operational. Two flavours supplied; as a a backup of the site collection, you must restore it and the fastest way is through PowerShell (see below). And the second flavour is the SQL backup of the relevant content database. CONTENT DATABASE BACKUP FILE: If you do not want to use the backup file, you could use the content database instead (this is a backup of the content database for the Helpdesk 2013 site collection). This is included in the ZIP file here. To use this, unzip and then restore the Content DB into your SQL instance. Once done, create a new web app, ensure that the correct web app permissions are set. Remove the content db associated to that web app, and then connect the Helpdesk content DB to that web app. Carry out an IISRESET at the end of the procedure. Thats all there is to it. Skip to the Special Considerations section below. 1: Download the backup file, and copy it into a folder accessible on your SharePoint server. 2: Create blank site collection (suggest you do this in a test environment). It does not matter what you call the site. 4: Once restored, you should now be able to access the site collection. The SharePoint version and therefore the database when the backup of the site and the backup of the content database is 15.0.4481.1005 (MARCH 2013 PUBLIC UPDATE). 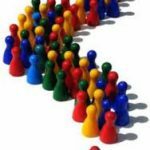 The One Stop Shop top site, and the Admin sub-site are empty. If you wish to use these, there’s plenty of information concerning exactly how they should look in my forthcoming book. That said, feel free to do what you wish with them. Get a feel for the three manager pages and you’ll see how things fit together. The Create a Service Request has a special lookup to Managed Metadata column called Customer. You will need to redo this so that it instead looks-up to the Title column in Customer list available in that site, or if you wish, to use Managed Metadata simply create the Term and point to the relevant location instead. The helpdesk site is provided FREE, so that means, please do not flood my doors with requests on ‘how do this bit work’, or requests for modifications or requests for enhancements. That said, I will release updated versions of the helpdesk site and they will have enhancements in them. In the meantime, please feel free to make your own modifications and please do not hesitate in dropping me a mail letting me know what awesome things you have done to it! Finally… An idea from me? You may wish to create workflows for the Service Request list to help automate the 360 degree feedback. Three state works well is a pretty cool one to try.